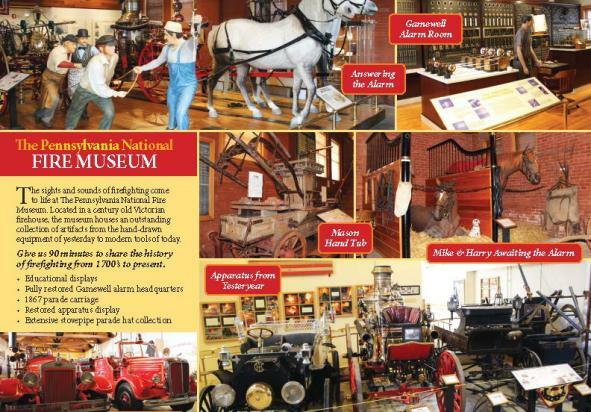 The Pennsylvania National Fire Museum is housed in an 1899 firehouse. 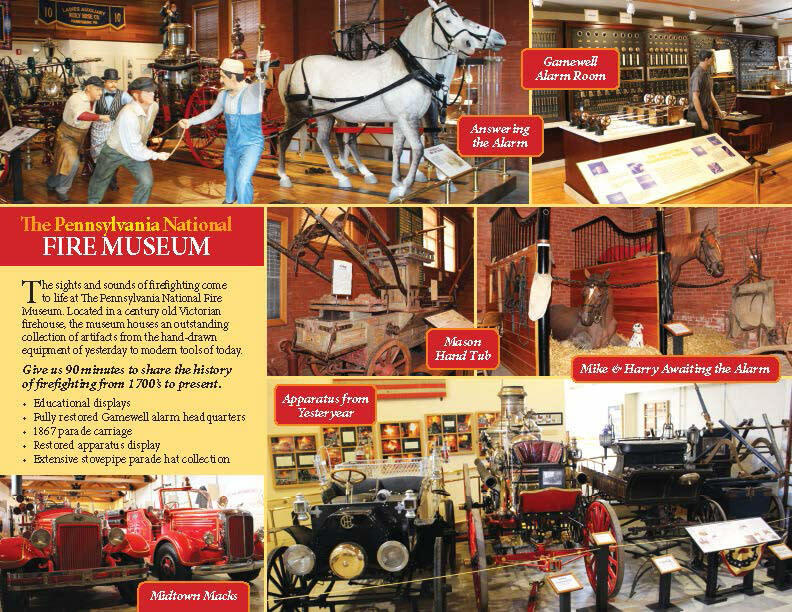 As visitors enter the museum they are taken back to the Hand and Horse Drawn Era of firefighting. Ninety minutes of firefighting history from the 1700's - present. Restrictions: Seniors over age 60, $6.00, children ages 4-18, $6.00 when accompanied by an adult. Age Requirement: Ages 12 and under must be accompanied by an adult.